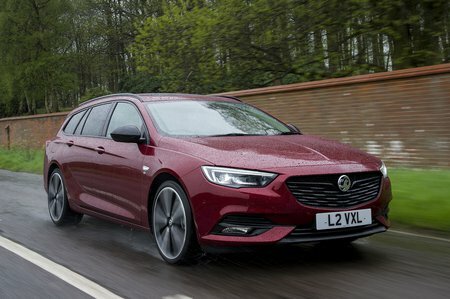 Vauxhall Insignia 1.5T Design 5dr 2019 Review | What Car? What Car? will save you at least £1,727, but our approved dealers could save you even more. Design trim kicks off the Insignia range, yet it still gets a decent amount of kit. This includes auto lights, keyless start, electric front and rear windows, air-con, cruise control, a 7.0in touchscreen infotainment system with DAB radio, Bluetooth connectivity Apple CarPlay and Android Auto, and a multi-function steering wheel. This little 1.5-litre turbo petrol is the cheapest engine but still promises reasonable pace. Even so, we’d be more tempted to pay a little extra for its more powerful brother if you want a cheap motor.